A customs officer was promoted by His Highness Sheikh Mohammed bin Rashid Al Maktoum, Vice President, Prime Minister of UAE and Ruler of Dubai for his role in rescuing a family stranded at Hatta check-point. Dubai Media Office tweeted about the announcement saying the officer, Salem Abdullah Bin Nabhan Al Badwawi was promoted for his gesture in helping the Syrian family in need. 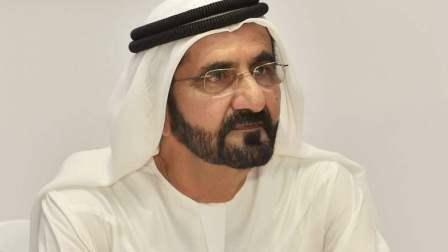 On his official Twitter account, Sheikh Mohammed shared a video of a radio presenter talking to the Syrian father about their ordeal on the first day of Eid Al Fitr. The father explained how the officer selflessly offered his personal car when their car broke down. We had reported yesterday that a family stranded after their car broke down were rescued by a Dubai customs officer. The officer offered them his personal car after their vehicle broke down near the Oman border. "It was the first day of Eid on Friday morning at 7am, and we were headed to Muscat. At the border, our car broke down. "The customs officer requested I park the car off to the side, and tried to help us get a two truck or taxi so we could go back home, but no one answered us as it was the first day of Eid and very early." He continued, "Salim Badwawi, the customs officer on duty, gave us his personal car keys and told us to continue our trip to Muscat. "He first drove to his home in Hatta, dropped his belongings off, then insisted we continue our journey as planned. "After we finished our trip, the officer took us back to our home in Dubai, then called a tow truck and had them tow the broken down car to a mechanic to fix," the citizen concluded.